Well, I wouldn't be opposed to them having their own additional source of income to help fund their own initiative. And help re equip their structures over the years. MOSCOW, 27 Jun - RIA Novosti. 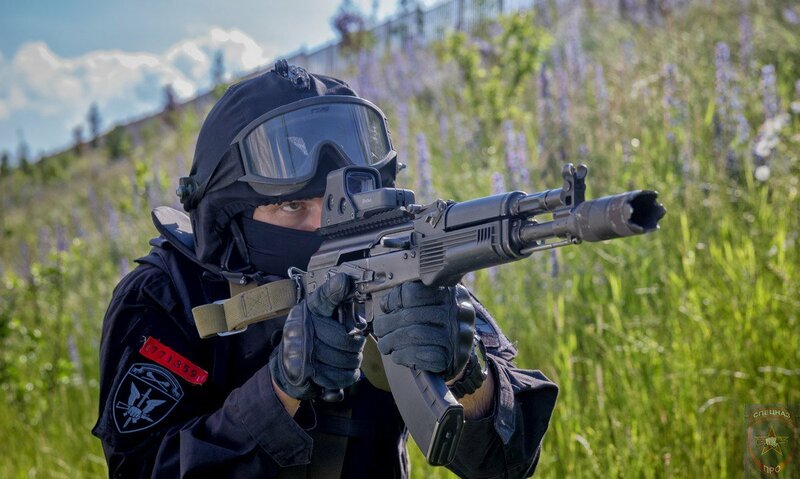 In Regardie will be a scientific company, which will study the Internet, to design the equipment and weapons, and explore foreign and domestic experience of struggle against terrorism, said at a briefing head of the Main organizational-mobilization Department of Regardie Lieutenant General Eugene Fuzhenko. "We have studied the experience that appeared in the Ministry of defence, when they created a research company. We have already this autumn we plan to create the first scientific company, and will be equipped as soldiers by conscription and by contract," said Fuzhenko. According to him, candidates at research company Agency considers men from 20 to 27 years with higher education. The main areas for research Fuzhenko called the Internet, software, design and development of weapons and equipment, the study of foreign and domestic experience in combating terrorism and ensuring national security. KHABAROVSK, September 22 - RIA Novosti. Rosgvardia will create OMON units in several cities of the Far East, in particular, in Komsomolsk-on-Amur in the Khabarovsk Territory, where a comprehensive plan for social and economic development is being implemented, Igor Grudnov, commander of the Eastern District of the Russian National Guard, said at a press conference. 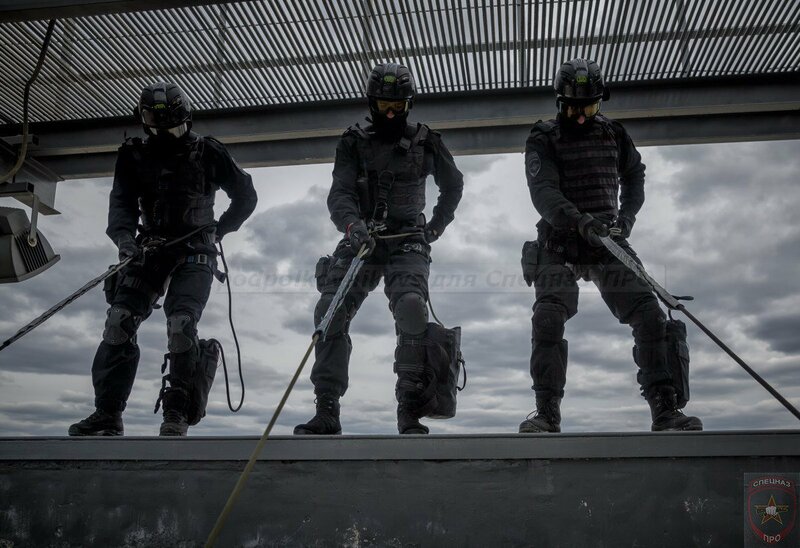 "A special OMON unit will be established in Komsomolsk-on-Amur at the request of the governor of the Khabarovsk Territory, as this is a city of increased attention of the president of the Russian Federation." We have units from the SOBR of Khabarovsk, this will be the basis for the OMON. on the basis of the SOBR unit, 150 employees will be created in Blagoveshchensk, Amur Region, "Grudnov said. 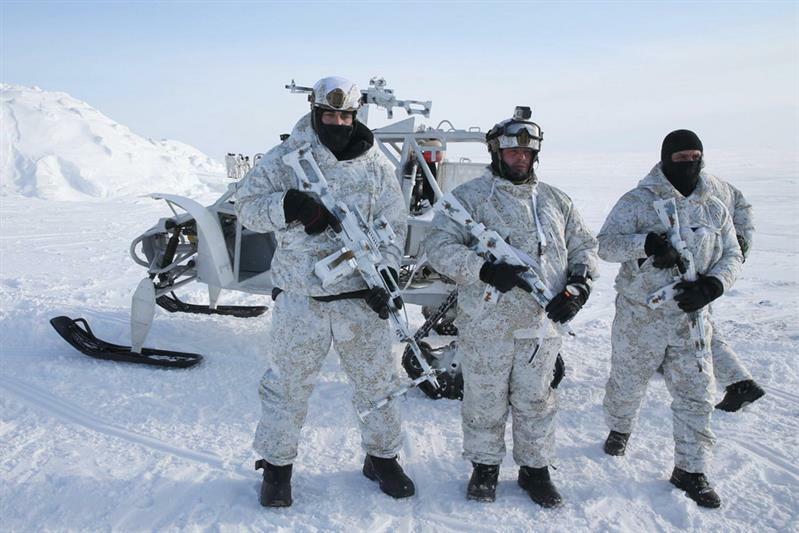 He said that OMON units will be established in Chukotka. The number of OMON officers in Yakutia, Yuzhno-Sakhalinsk, Ussuriisk of the Primorsky Territory, and Petropavlovsk-Kamchatsky will increase. 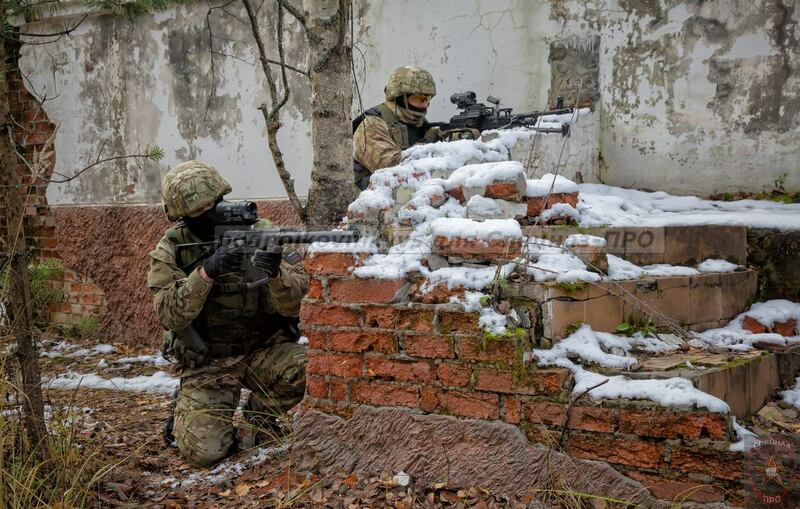 Grudnov said that the change in the number of units is taking place within the third stage of the formation of the troops of Rosgvardia. "Four battalions of motorized units will be liquidated in the Far East until December 1, their employees will be sent to other units, a special forces center with a strength of more than one thousand will be formed on the basis of 21 special forces units." The number of riot police by reducing other units will increase. the detachment will create a naval brigade with a dislocation in Khabarovsk, it is possible that another air squadron will be created, "he said. According to him, all shortened staff will be offered new positions. According to the information published on the public procurement portal, the Ministry of Internal Affairs of the Russian Federation on August 25, 2017 concluded a contract with PJSC United Aircraft Corporation (UAC) worth 1.7 billion rubles (including VAT) for the purchase of a Tu-204-300 passenger aircraft version of the "Salon" (with a capacity of 55 seats) for the troops of the National Guard of the Russian Federation. The aircraft should be delivered to military unit 3553 in Shchyolkovo-10 [Chkalovsky airfield - bmpd] by December 1, 2018. The delivered aircraft "is intended for use in carrying out tasks assigned to the troops of the National Guard by the Federal Law of 03.07.2016 No. 226-FZ" On the troops of the National Guard of the Russian Federation ". In turn, the UAC on September 22 posted on the procurement portal a notice of purchase from the sole supplier of long-haul civilian aircraft of transport category Tu-204-300, serial number 1450743364026, on-board number RA-64026, at the price of 1.667 billion rubles (including VAT) November 1, 2018. The only supplier is OOO IFC Asset Management (Ulyanovsk subsidiary of the leasing company Ilyushin Finance Co., IFC). The state customer of the aircraft is the Ministry of Internal Affairs of the Russian Federation on the basis of the above-mentioned state contract No. 017300012517000331-0008205-02 of August 25, 2017. Thus, we are talking about the delivery of the Ministry of Internal Affairs of Russia after re-equipment in the "Salon" version of the Tu-204-300 aircraft with the registration number RA-64026 (serial number 1450743364026). This aircraft is the first long-range Tu-204-300 vehicle and was built by Aviastar-SP in Ulyanovsk in 2000 (made its first flight on July 8, 2000), although its formal release date is June 6, 2005 this aircraft type certification tests). From 2005 to 2013, this board, being owned by the IFC, was used in leasing by the Vladivostok-Avia airline, and since January 2014 it has been stored at Aviastar-SP in Ulyanovsk. In February-March 2015, the board was used in Ulyanovsk for certification tests for compliance with ETOPS-120 standards for flight in the event of failure of one of the engines. 3rd October is the OMON day. Recent pictures prove that under Rosgvardiya OMON is turning into an elite security force. National Guard says with new intense training system can turn a raw recruit into a trained soldier in 120 hours of training... be interesting to see. 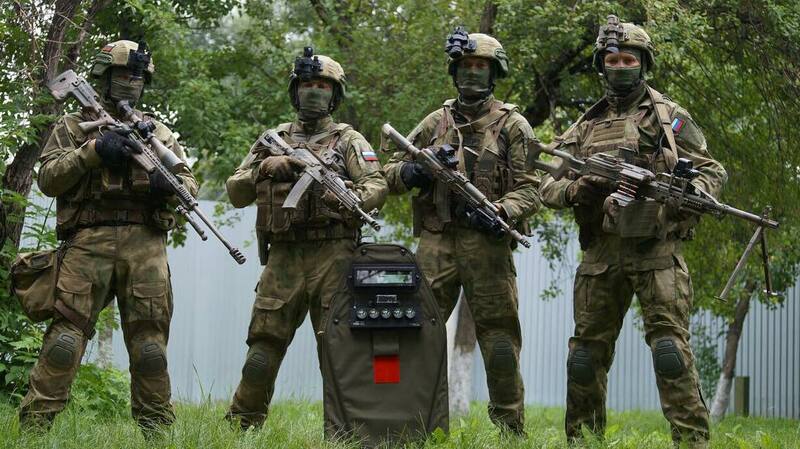 Rosgvardiya's Special Rapid Response Unit(SOBR) in Irkutsk Oblast. Note Accuracy International AX Chassis System on the left. MOSCOW, Oct. 25 - RIA Novosti. Rosgvardia will create a new military unit - a naval brigade, which will monitor the security of the transport crossing through the Kerch Strait, said Wednesday the director of the department, Army General Viktor Zolotov. "To solve the tasks assigned to Rosgvardia to ensure the safety of the transport crossing through the Kerch Strait, we will have to form a new compound - a naval brigade," Zolotov said at a meeting of the Federation Council. NOTE: earlier it was announced that new patrol boats had been ordered for this task. Also it was announced that construction of the bridge and supporting network had passed the 50% mark. Rosgvardiya dep.Melikov re;"Militarisation"of OMON, SOBR & AF:" postponed for 2nd half of 2018-19 due to lack of funds"
George1 wrote: Rosgvardiya dep.Melikov re;"Militarisation"of OMON, SOBR & AF:" postponed for 2nd half of 2018-19 due to lack of funds"
I don't think it requires too much money, and since Rosguard is getting more money than military itself, I find this hard to believe (they are getting 1.3T rubles). I think RIA is either not quoting it right or the major mentioned is begging for more money (very common right now). Because all they are doing is moving the title of OMON and others to military ranks, so cost is only in organization, pension structure and accomodations. 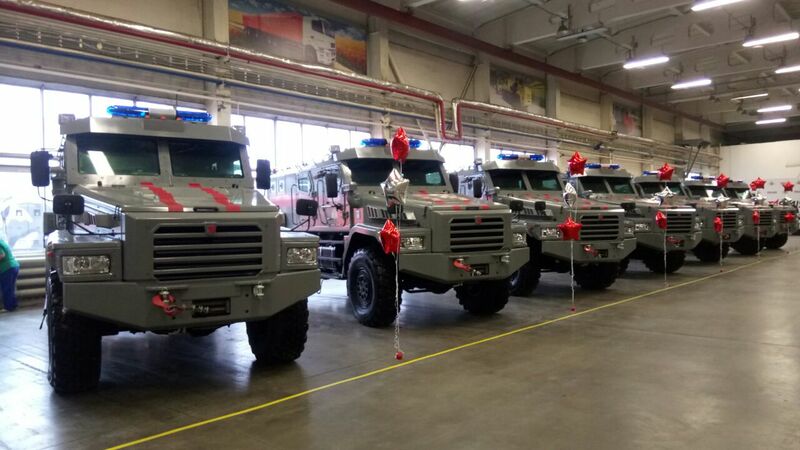 Rosgvardia has received ten special armor cars "Patrol"
- in fact, as already reported, the main task of these boats in Rosgvardia should be the protection of the Kerch bridge. 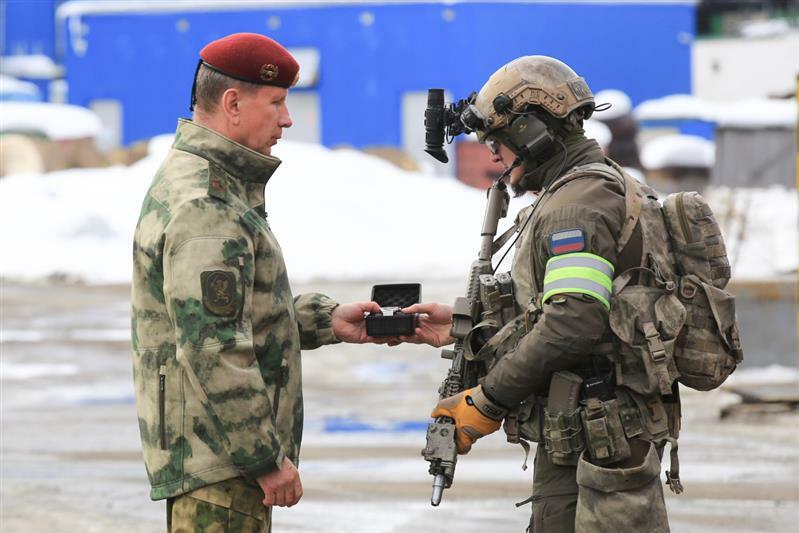 In Rostov-on-Don, the first deputy director of the Federal Service for Troops of the National Guard-Commander-in-Chief of the Russian National Guard troops, Colonel-General Sergei Melikov, held a service meeting with the command of the Southern District of the Russian National Guard. Colonel-General Sergei Melikov informed that "In accordance with the Decree of the President of the Russian Federation, as part of the measures to optimize the combat-combat activities of Rosgvardia in southern Russia, two new districts have been formed: the Southern District with the headquarters in Rostov-on-Don and the" new " The North Caucasus, whose administration is deployed in Pyatigorsk, their borders completely coincide with the boundaries of the respective federal districts. " Among the key tasks for the near future of official activity were the protection of law and order and ensuring public security, participation in the fight against terrorism and extremism, and the protection of important state facilities in the Southern Federal District. Colonel-General Sergei Melikov emphasized that "these tasks should be fully implemented, despite the ongoing measures to build and reform the troops and territorial bodies of Rosgvardia in the south. At the service meeting, Vrid was represented by Colonel-General Yevgeny Zubarev, commander of the Southern District of Rosgvardia, and a number of his deputies. 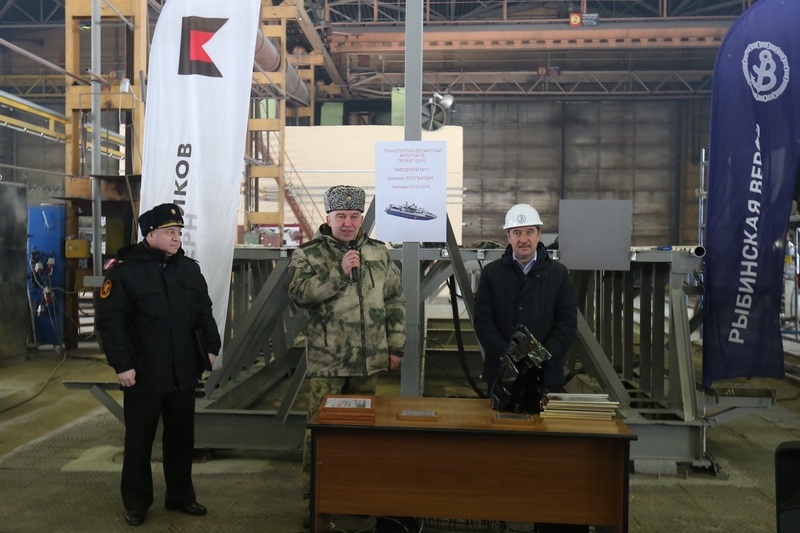 As JSC "Concern" Kalashnikov "informed, on March 12, 2018, a solemn laying of the main high-speed transport boat of the project BK-1 was held at the shipyard of JSC" Rybinsk shipyard "(Rybinsk, Yaroslavl region), part of the group of companies" Concern "Kalashnikov" 16 (project 02510) with serial number 11 for the Federal Service of Troops of the National Guard of the Russian Federation (Rosgvardia). The ceremony was attended by Deputy Director of Rosgvardia Lieutenant-General Sergei Mileyko, General Director of JSC "Rybinsk Shipyard" Sergei Antonov, representatives of the Concern "Kalashnikov". The bmpd comment. 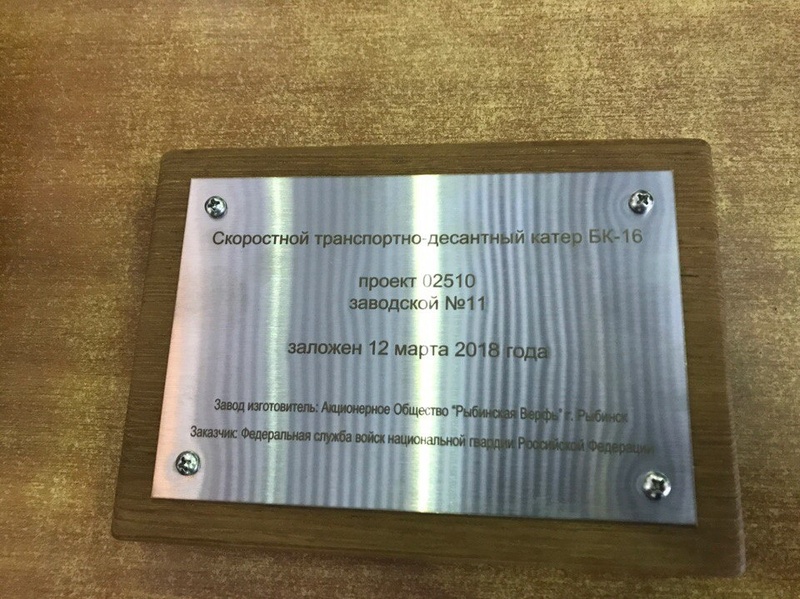 Judging by the photos from the ceremony, this boat has the serial number 11, which, apparently, means that by the present time JSC "Rybinsk Shipyard" has built or has in construction for the Ministry of Defense of Russia ten boats of the BK-16 project (project 02510), and , perhaps a similar project BK-18. Recall that the head boat of this project D-296 with factory number 01 was built JSC "Rybinsk shipyard" in 2014 and transferred to the Russian Navy after the completion of tests in June 2015 on the Black Sea. 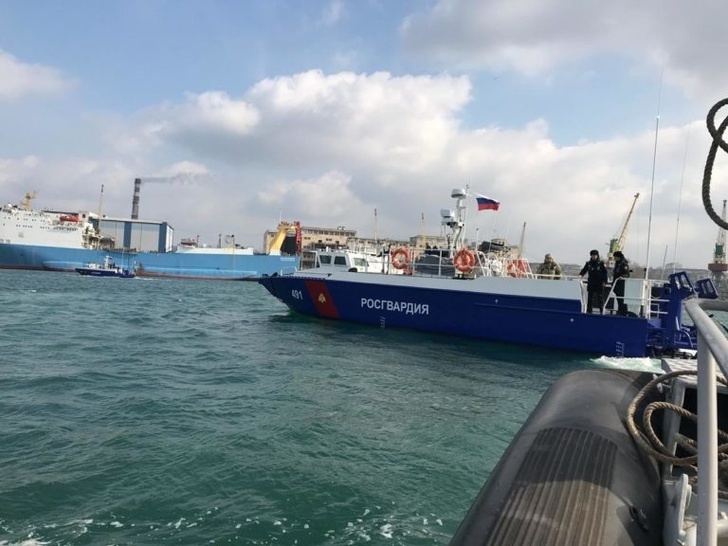 October 10, 2017 head boat crashed in Sevastopol. Boats of the projects BK-16 (project 02510) and BK-18, developed by Rybinsk shipyard, are still one of the Russian clones of the famous Swedish small combat boats of the CombatBoat 90 (CB 90) project developed by Dockstavarvet, and compete against another clone of the SV 90, serially constructed for the Russian Navy - the project 03160 (Raptor) boat of the construction of the Leningrad Pellet Shipyard JSC. 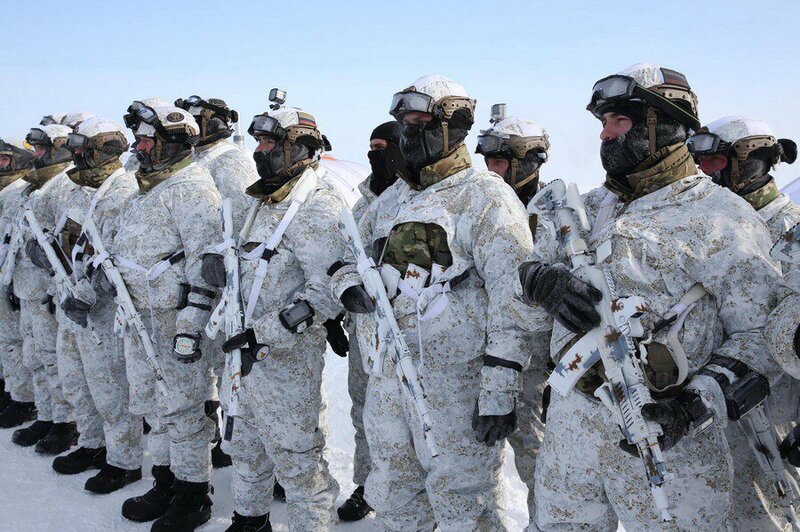 Rosgvardiya TsSN Vityaz, SOBR Rys & Terek exercise in the #Arctic - Franz Josef Land & in Murmansk was held 11-13.4.18. 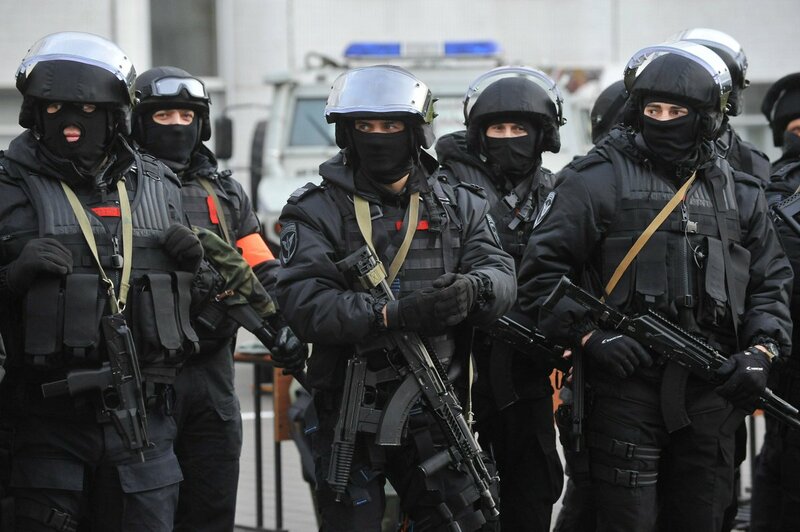 FSB Border Guards took part (last pic). 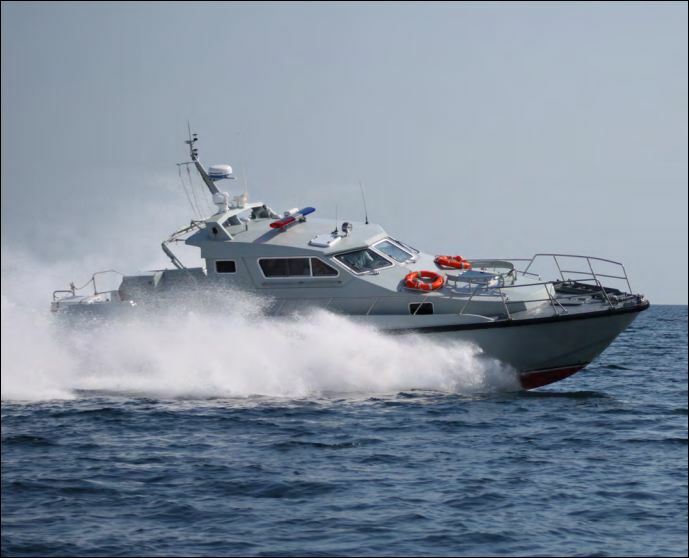 As reported on May 30, 2018 by the press service of the Southern District of the troops of the National Guard of the Russian Federation, in the Black Sea in the vicinity of Feodosia the sea trials of a new special high-speed "Sargan" type boat were completed, which in the near future should go into service at the offshore units of Rosgvardia. During the week representatives of the marine and technical services of the department and a team of specialists of the shipyard "More" carried out a comprehensive check of all life support systems for the new ship - propulsion systems, communication systems, navigation and radio-technical weapons. In addition, the tests included the testing of on-board deck equipment, including standard mooring devices. According to unanimous opinion, the tests of the vessel were successful. Modern equipment and high seaworthiness characteristics allow "Sargan" to solve a wide range of tasks and make it universal. "The boat meets all standards in the field of shipbuilding. 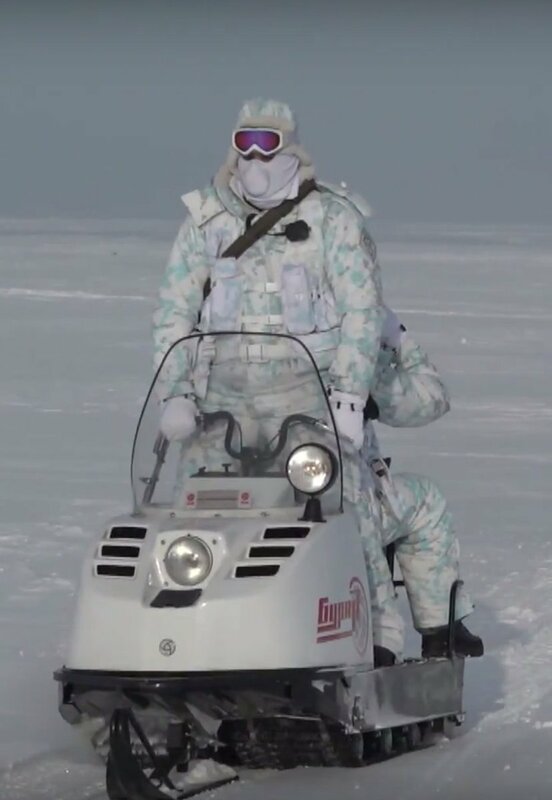 Maneuverable, high-speed and capacious, - said test participant Captain 1 rank Dmitry Slobodchuk. "I am sure that the vessels of this project will qualitatively strengthen our marine divisions, and their modern navigation system, communications and armament will allow the personnel to effectively perform tasks to ensure safety in water bodies." "Sargan" has a displacement of about 12 tons, the speed of 44 knots (about 81.5 km / h). Boat can be up to 2 days in autonomous navigation and go without refueling 413 miles (about 765 km). 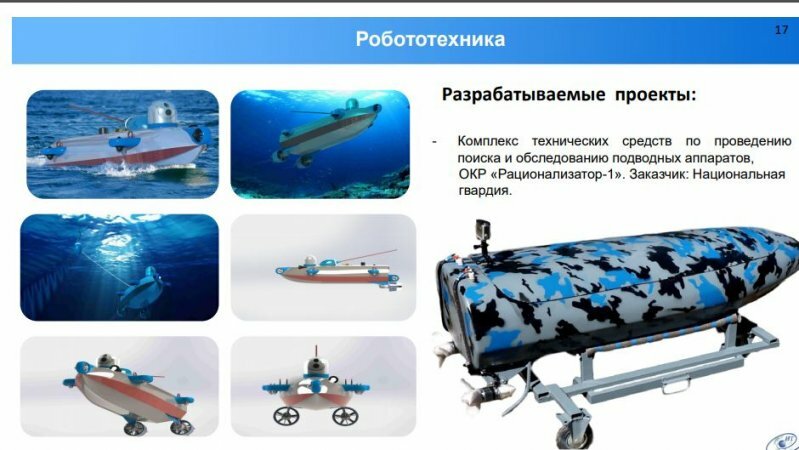 Announced at Army 2018 forum and being developed under Rationalizer-1 research project, the standalone unmanned submersible will kick off testbed trials in April 2019, a developer of the robotized system in the Institute for Telecommunications told Mil.Press Today. "Currently, manufacturing of components for the research project codenamed Rationalizer goes on, it will last till February. Basic testbed and sea trials are scheduled in the end of spring 2019", said the interviewee. The system was ordered by Russian National Guard. Based on the open sources, the project development cost 35 mln rubles. The drone’s designers disclosed some of its characteristics to the press at Army 2018 forum. In particular, they reported that the system’s control station could be based either onshore or on the boat. Surface speed of Rationalizer will be 10 knots, submerged speed – from 3 to 6 knots, depending on the operational mode. The drone will be equipped with a video camera, a thermal imager and a sonar system. In addition, the Institute for Telecommunications has developed software enabling to control the drone’s payload. According to the specifications, Rationalizer is designed for automatic search, detection and survey of grounded underwater objects like caches or dead drops. Also, the system’s functions include identification of objects and targets in the water (different submersibles or divers entering a secured zone). The drone’s operation is automated, along the preset route; in the process of the mission accomplishment, the control can be taken by the operator. Designers plan to demonstrate Rationalizer at Army 2019 forum to kindle interest among the military. How come national guard gets those dingies yet FSB gets those really nice ships? miketheterrible wrote: How come national guard gets those dingies yet FSB gets those really nice ships?